The artist at Elite Photographic Studio, James, is known for being a reliable and consistent photographer and videographer. He offers both of these services to capture the wedding day comprehensively. With over 25 years of experience behind the lens, he will not miss a moment. James and his talents have been recognized internationally along with the very best in the business. He will work with his clients to create custom films that are true to them and their romantic event. If you want a videographer with experience, then Scott and Kathy Bert of Keepsake Video & Photo are the perfect team for your event. This married couple is passionate about capturing the love of their clients in both video and photos. This allows them to shoot the entire day at a variety of angles. Since 1996 this duo has not only been Detroit wedding videographers beautifully but has worked on some of the most recognizable shows that are filmed in the city. More and more couples are turning to Sterling Digital Graphics for their affordable and reliable videography services. This company is passionate about capturing weddings, and thus wants to provide customers with incredible services that are at reasonable prices. Once they have captured your big day, then you will receive an expertly edited video that includes moments from when you were getting ready, the ceremony, family interviews and the reception. With two cameras to capture it all, not a moment will be missed. 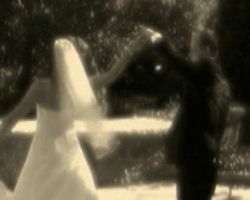 Our Wedding Day Forever has become one of the top wedding videographers for a variety of reasons. The quality of their services is the very best, which is made clear by previous clients in reviews. What sets this company apart is their unique way of serving customers, allowing them to be in control of how their wedding video turns out in the end using the beautiful and timeless footage they have shot. Enjoy reliving the most special moments when you watch your wedding day film afterwards. If you want a wedding videographer in Detroit, MI who is becoming famous on the wedding scene then Zara Creative is the company for you. It is clear why this team is so highly sought after. Their creativity and talents are apparent in each film they make. With personalized service, they are able to make a beautiful film that reflects the personality of the featured couple. They also keep their clients updated throughout the editing process offering sneak peek videos. 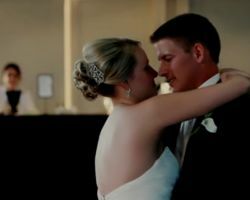 Style and Motion is the videography company of Shelby and Aaron Mayberry. This husband and wife duo has been specializing in wedding videography since they started working together and are highly decorated as artists separately. It is clear from their work that these Detroit wedding videographers have incredible talent with a camera and in their editing process. With a keen eye, they are able to capture the most intimate moments of your day and create a beautiful final wedding film. Your wedding video is possibly the only thing that will truly capture the spirit of your big day, so making sure you have the best videographer is a must and you should spare no expense. George’s Photo Video are the experts in the area at creating videos that couples will cherish for the rest of their lives. By clearly listing their packages and rates, they make their services clear so there are so surprise charges at the end of the experience. W Cardon Productions has a passion for telling stories in any way they can. Professionally, this has been as a wedding videographer in Michigan. In this capacity, the company has experience shooting countless weddings beautifully to reflect the style of the event and the love between the newly married couple. You will be able to relive your event when you watch their carefully edited film as they always capture the emotional highlights perfectly. Relive the memories with a one-of-a-kind wedding film.